This stuff doesn’t happen by accident, you know. 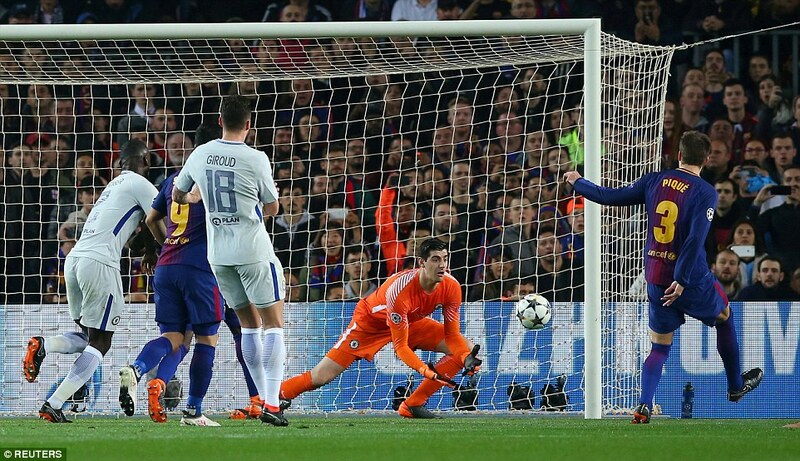 The first time Lionel Messi stuck the ball through Thibaut Courtois legs from a seemingly impossible angle it was possible to kid yourself that, well, he might have got a little fortunate there. The second time, there could be no doubt. 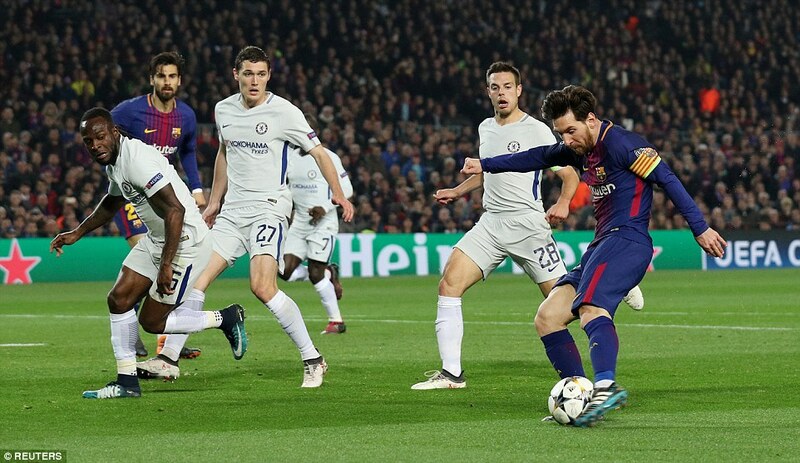 Messi shoots from places that no other footballer would attempt, and he is capable of targeting areas of the goal, or a person, with such precision it is breath-taking. 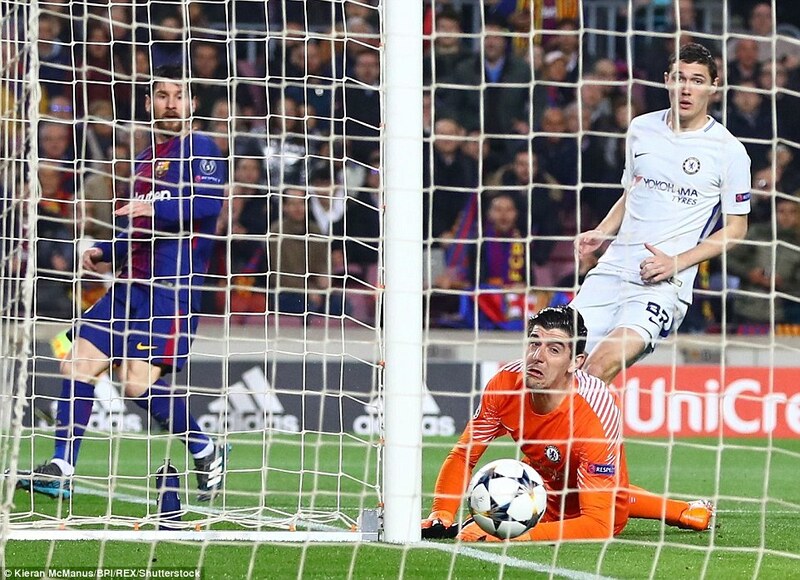 It is remarkable that Barcelona ever lose a game with a player of his talent on tap; remarkable that he doesn’t just stick several through the goalkeepers’ legs every time he plays, considering he seems able to do it at will. 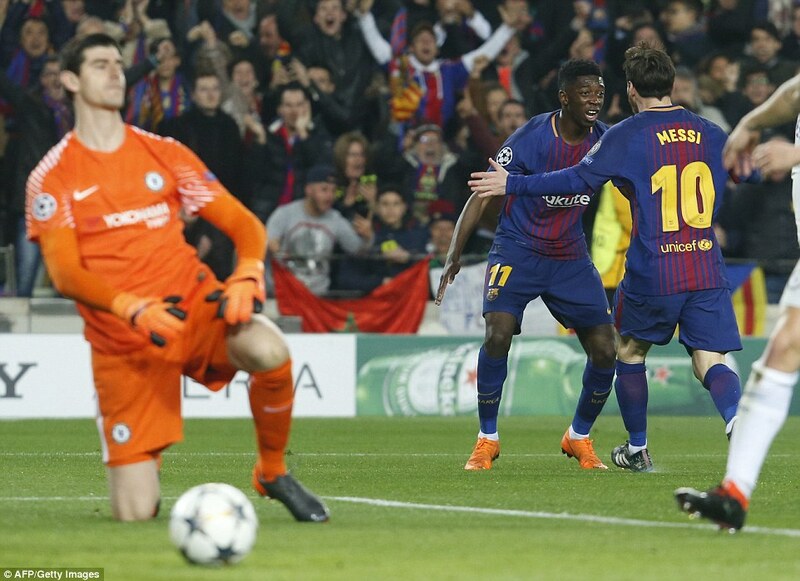 Barcelona’s passing play took them from one side of the Nou Camp pitch to the other, before Lionel Messi was laid off by Luis Suarez to score through Thibaut Courtois’ legs. Chelsea weren’t bad here, whatever the scoreline suggests. They were better than Manchester United against Sevilla, certainly not embarrassed. They just made mistakes – and every time they did, Barcelona scored. Every time, without fail. 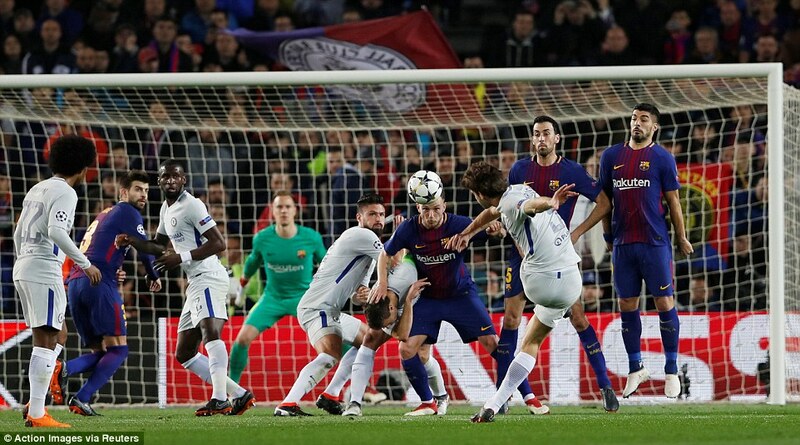 The third of the night was an error by Cesar Azpilicueta, who gave the ball to Luis Suarez, who found Messi and – let’s just say the usual happened. Approaching the goal from an angle from which the world and his wife would have passed, Messi shot. He did so with such ferocity and accuracy, with such acceleration of body and mind that Courtois looked to have turned his back on it. He hadn’t. He was just looking to see where it had gone, as it appeared to have passed through him. So at least Messi has got the issue of Chelsea as his bogey team out of his system. 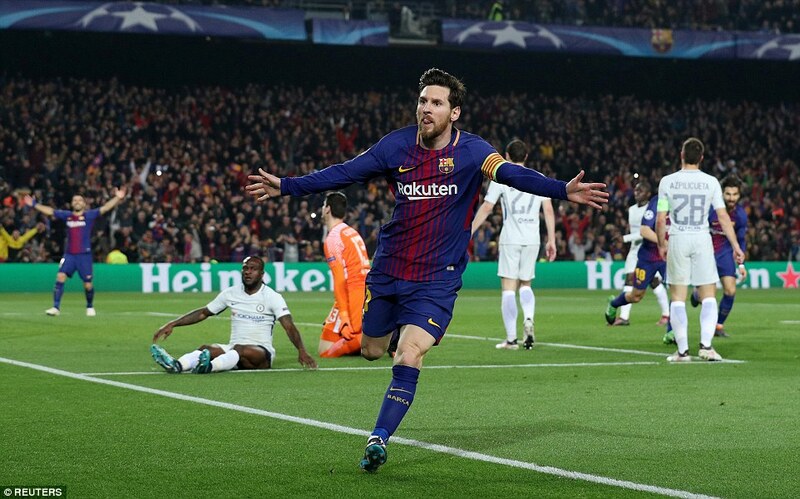 Having never scored against them, he now has three of Barcelona’s four across two matches – and he also made the other. Some bogey. 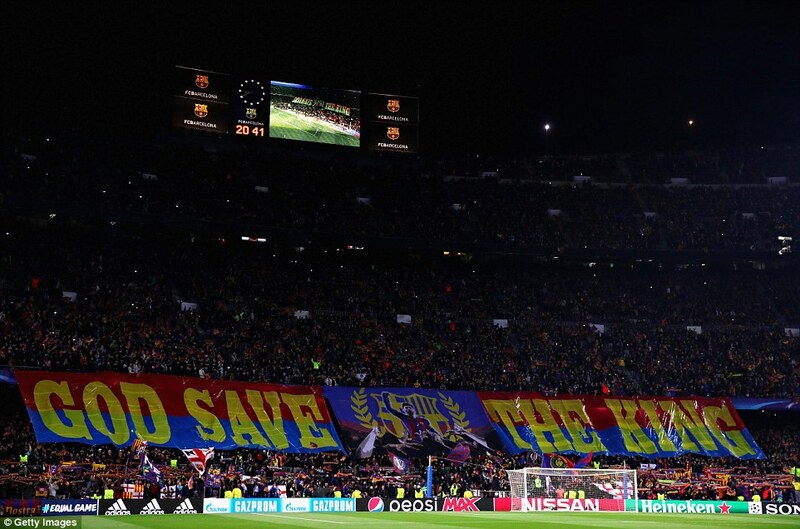 If there is a golden rule when playing Barcelona, it is: do not give them the ball cheaply. If there is an undeniable truth it is your mistakes will be punished. Chelsea broke the rule and attempted to deny the truth twice in the first 20 minutes, which is how come they went 2-0 down. As at Stamford Bridge in the first leg, they did not play poorly. 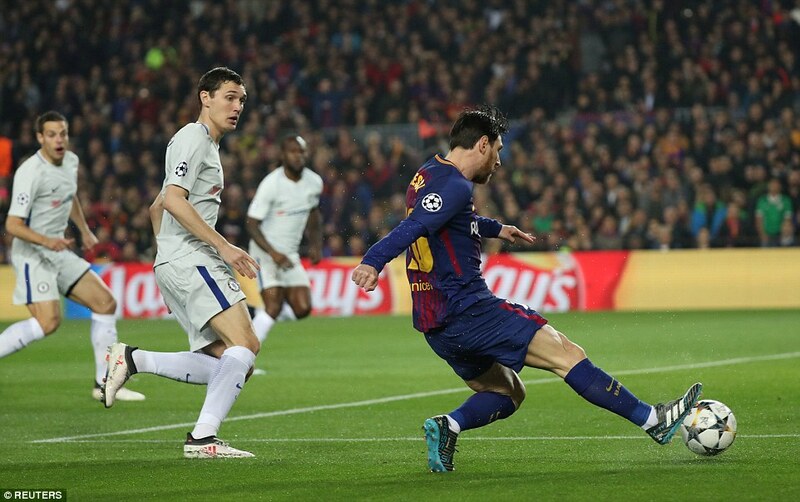 They hit a post through Marcos Alonso, they had several very decent chances, they often looked dangerous around the opposition penalty area – but as previously they made significant errors and, from those, Barcelona scored. 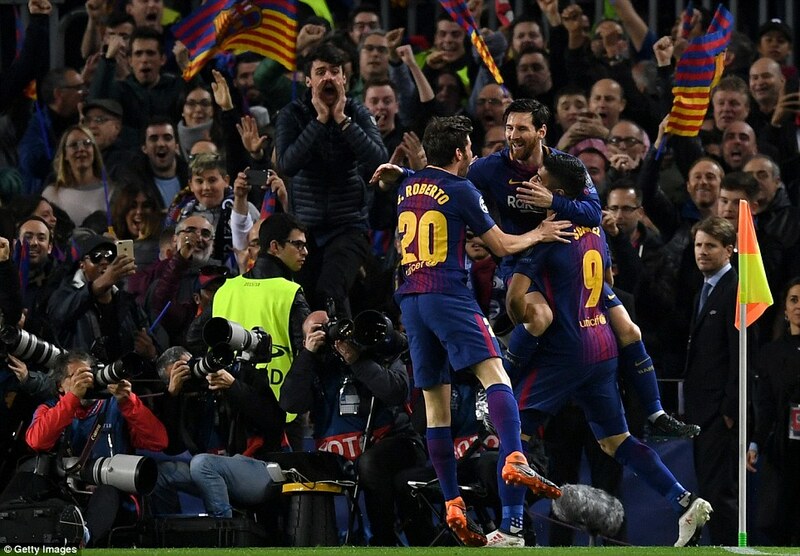 Leaving aside the favourable passing and possession statistics, which almost go without saying when playing this team, leaving aside that Barcelona are, indisputably, better than Chelsea, it still amounted to three mistakes, three Barcelona goals. 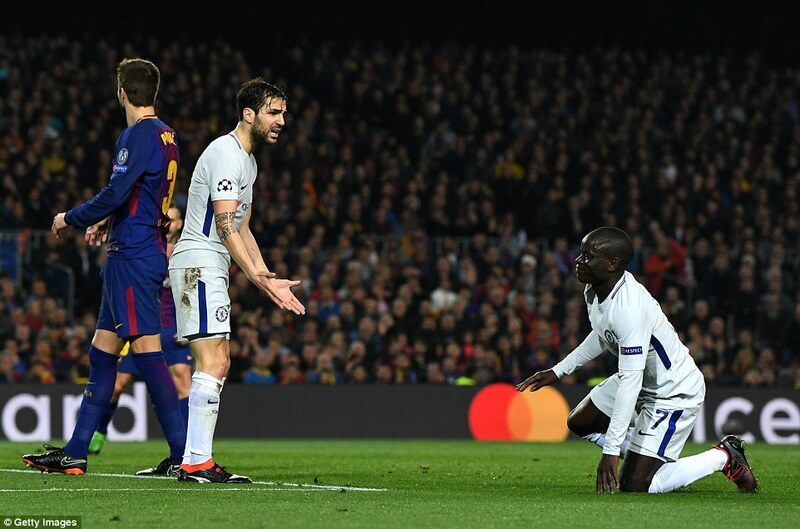 Andreas Christensen in the first match, Thibaut Courtois after two minutes here, and then Cesc Fabregas to leave Chelsea needing two goals at Nou Camp to qualify. They did it once before, but that was when Barcelona had to chase the game. 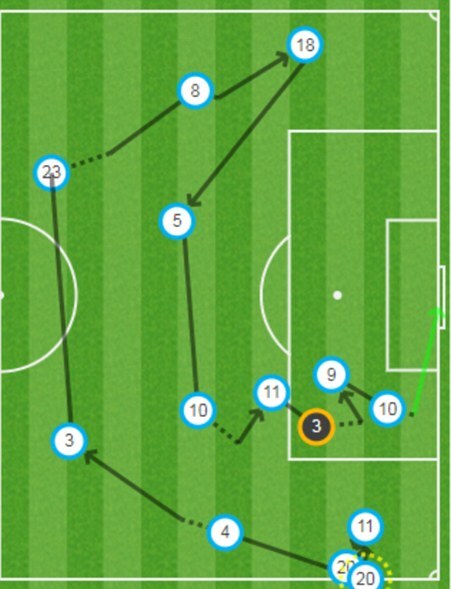 On Wednesday night, from almost the whistle, Chelsea were chasing, leaving gaps as they did so. It’s a whole new ball game when that happens. That Barcelona scored from the first attack of the match was a slap in the face. 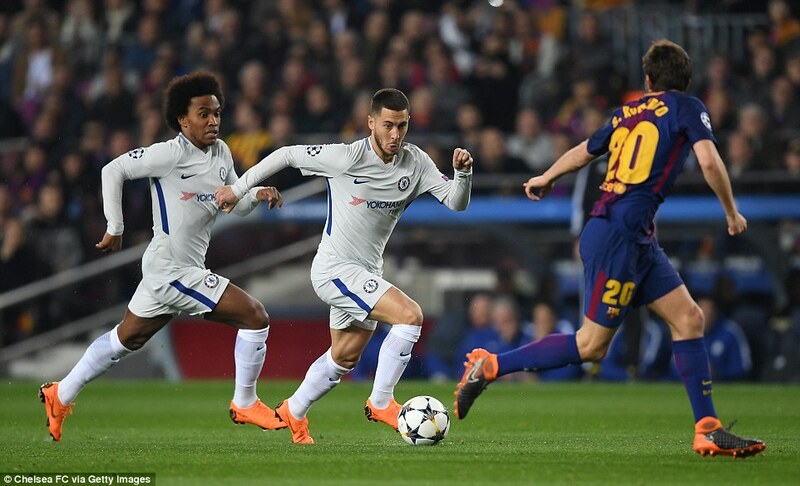 Antonio Conte will have sent his players out with the instruction to keep it tight, to make Barcelona play through their ranks, to frustrate them and hit on the counter. Bang went that plan, two minutes and eight seconds in. 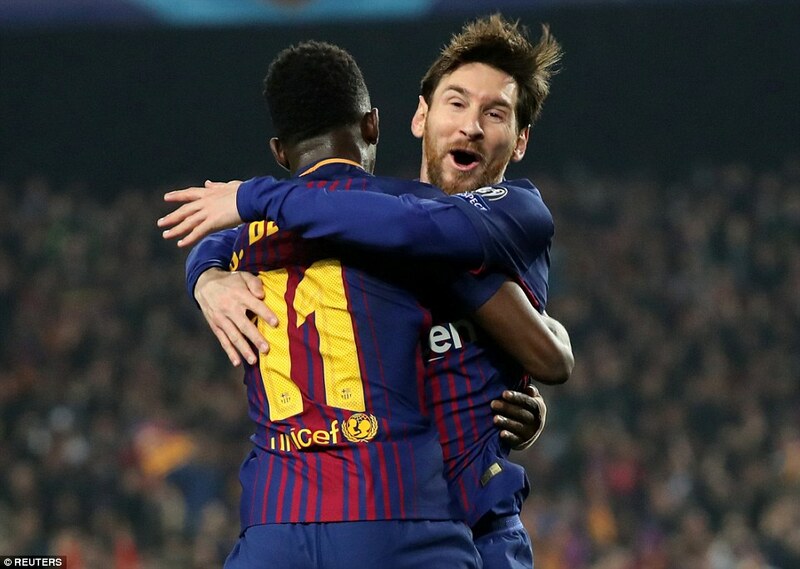 Lionel Messi tried to play a one-two with Ousmane Dembele, which Alonso cut out. 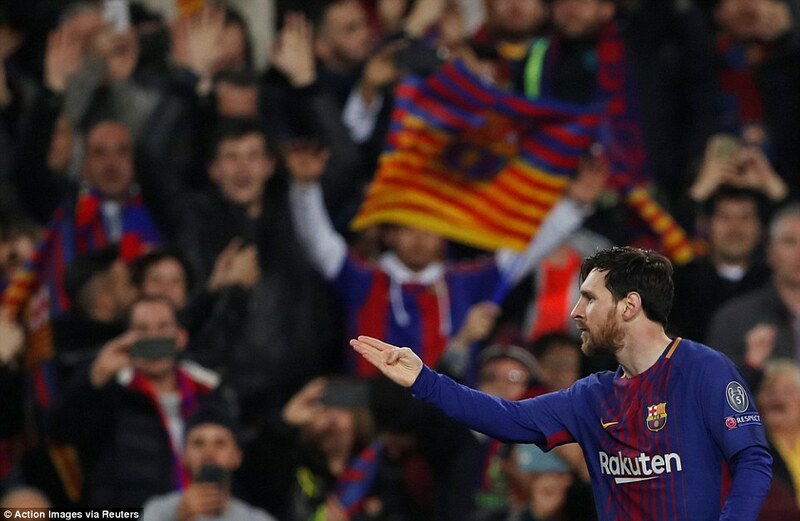 Unfortunately his interception only sent the ball into the path of Luis Suarez who reacted with typically wonderful improvisational skills, thinking fast, thinking on his feet, to divert it to Messi with an instinctive back heel. It was brilliant, street-inspired football but it would have come to nothing had Courtois done his job. 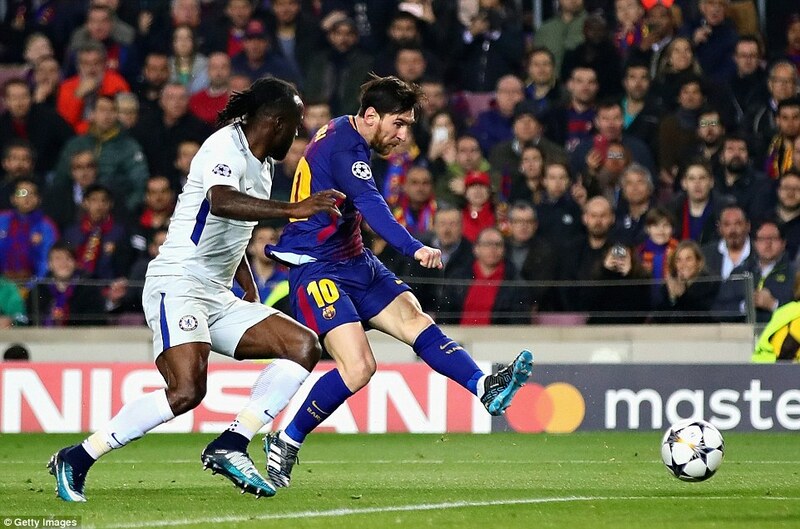 Messi was at a horribly tight angle on the right, a Messi angle, one only he scores from. Maybe he should have them named after him, like the Greeks who discovered trigonometry. 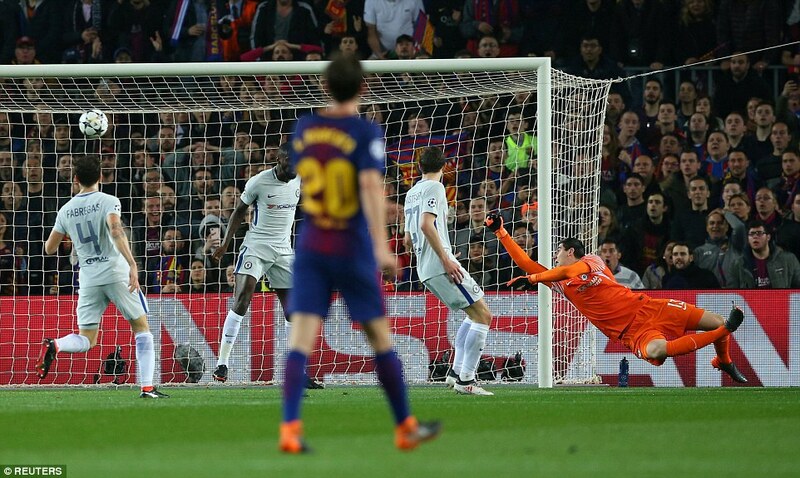 Anyway, Messi hit his shot from one of his sliver positions, and it travelled through Courtois’ legs and into the net. He shouldn’t have been beaten like that, he shouldn’t have been beaten from there, he was slow down and awkward. If Real Madrid were watching, and we know they would have been, a mistake like that is a match of this stand would have done Courtois few favours. David De Gea looks so much the better option, right now. 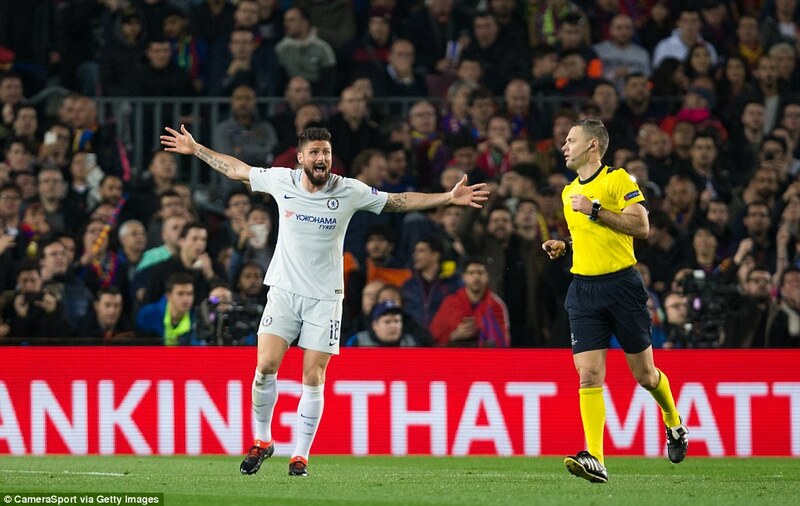 To their credit, Chelsea responded well, and immediately – considerably more positive than Manchester United were against Sevilla on Tuesday, and were almost rewarded for it. 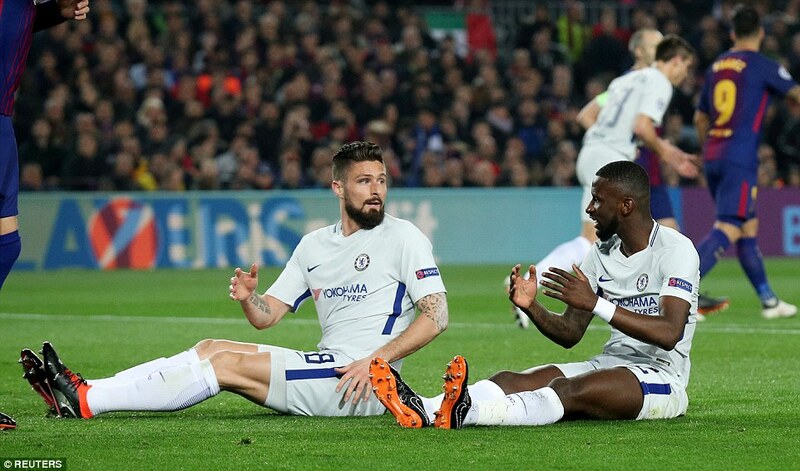 In the sixth minute, Willian hit a low free-kick from a wide position, that deflected past the near post, six minutes later Olivier Giroud and Eden Hazard combined well before Willian forced a decent save from Marc-Andre ter Stegen, who was probably simply grateful to be involved for a change. Yet mistake No 2 changed the complexion of Chelsea’s task entirely. Fabregas gave the ball away in midfield to the player who should never be handed presents. Messi’s break was stunning. He rode two Chelsea tackles and then, somehow, spotted Dembele in a wide position on the opposite side of the field, let slightly behind him. It’s like he has wing mirrors. Dembele took a touch a lashed it across Courtois into the far corner. He got a hand to it, but to no effect. 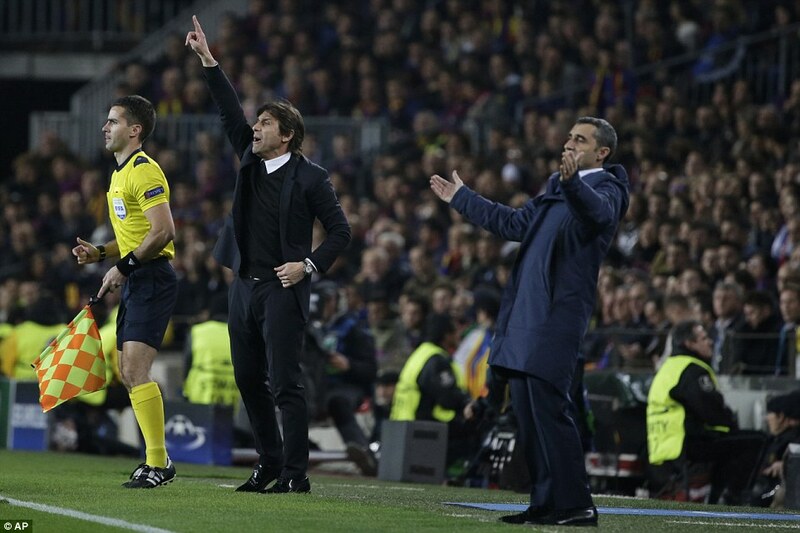 It is to Chelsea’s credit that they remained competitive in the circumstances. Had a third gone in after 28 minutes, it could have got away from them. 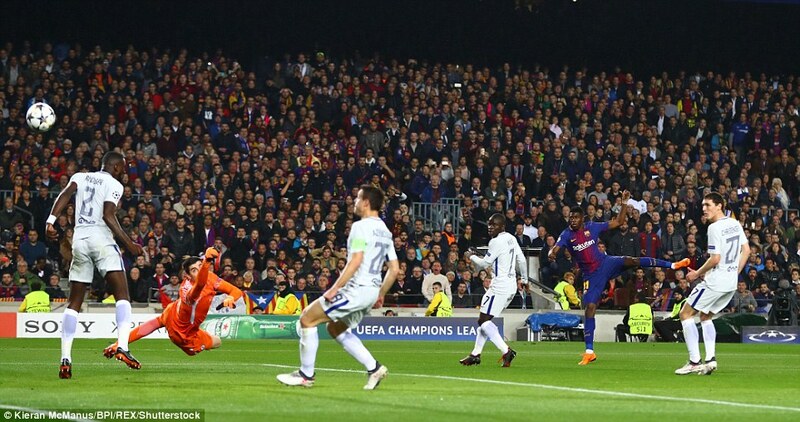 Andres Iniesta played a lovely backheel to Luis Suarez – who hasn’t scored in this competition since this month a year ago – and Courtois made a decent save. Yet Chelsea were never less than bold in their approach. If they had planned a counter-attacking game that was abandoned in favour of full throttle attack. N’Golo Kante battled his way through after 38 minutes but took the shot himself when Giround was in a better position, and sent it wide. Then with the last play of the first-half, Alonso hit the outside of the right post with a free-kick from 25 yards. 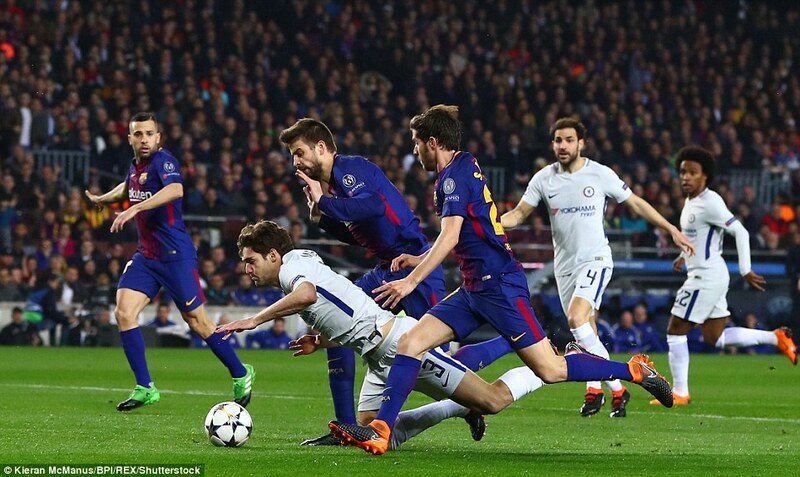 Should Chelsea have had a penalty shortly after the restart when Alonso looked to have been brought down by Gerard Pique in the area? Certainly, there was a tug on his arm, but Alonso fell cheaply when he should have kept his feet and tried to score. To add insult to injury, Giroud was booked for his protests. 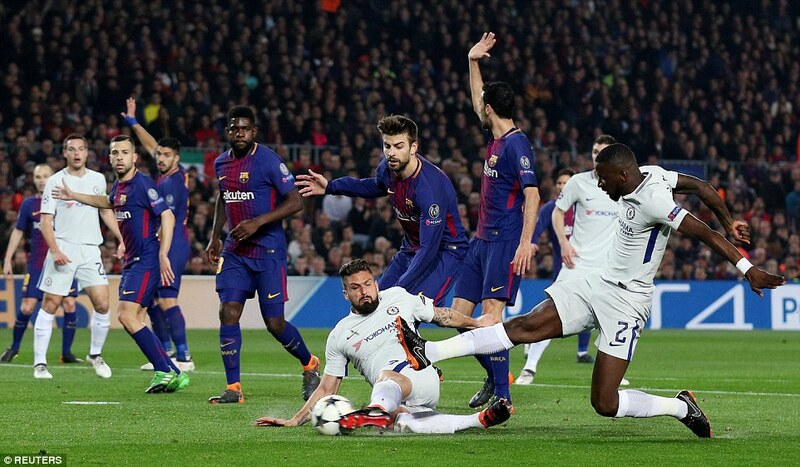 At the other end it was business at usual: Barcelona’s best chances the work of Chelsea malfunction. Courtois kicked a sloppy clearance straight to Suarez, but made amends with the save. Too late to make amends for the rest of it though.